Mystery Reader Program for Parents and Staff!! 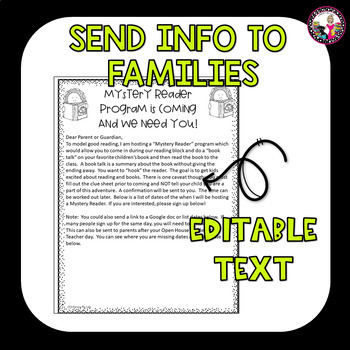 The Mystery Reader Program is a great way to get parents involved in your classroom AND demonstrate what good readers sound like when they read! 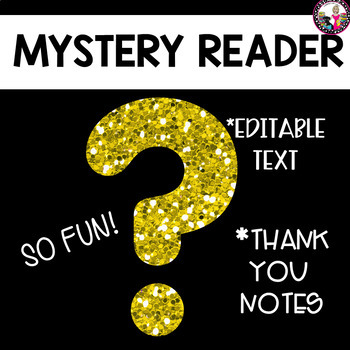 In this product, you will get a sign-up sheet, clue sheet for your Mystery Reader to fill out and confirmation slips so that you can communicate with your Mystery Reader! This is also a fun way to introduce key staff members to your class! Invite the principal, assistant principal, counselor, cafeteria manager, building services and the secretaries to be a part of the fun! 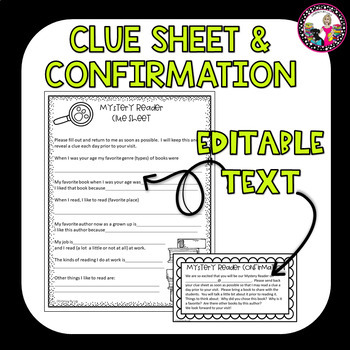 The clue sheet is geared with clues toward reading and reading habits! Clues can be read one day at a time leading up to the BIG reveal! Kids get so excited and it is a very engaging program! 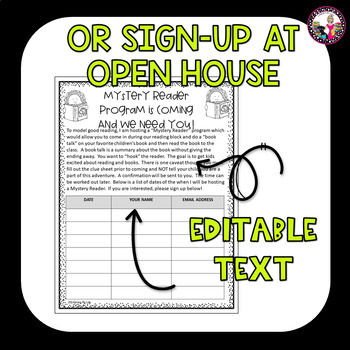 Perfect for set-up at Open House or Back to School night! **Don't forget when you purchase a product on TPT and then RATE it, you get credits that turn into dollars!! !